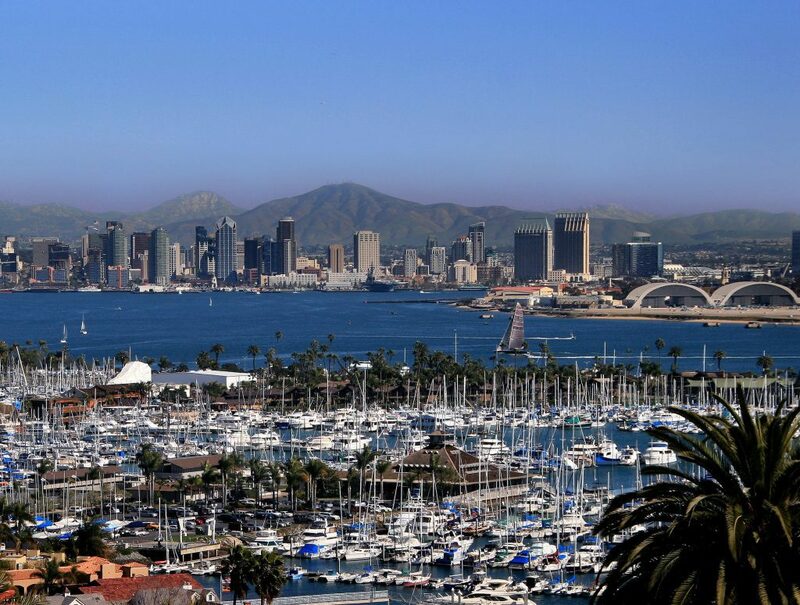 San Diego is known for its beaches, parks and warm climate, as well as its history with our nation’s military. The deep harbor is the principal home to the Navy’s Pacific Fleet and permanent home to the USS Midway, an aircraft-carrier-turned-museum. Enjoy a tour of the Marine Corps Recruit Depot and view a recruit graduation ceremony. North of San Diego, Marine Corps Base Camp Pendleton covers over 250,000 acres and approximately 200 square miles of terrain. Old Town is considered the birthplace of California as the American Flag was raised here in 1846. Immense Balboa Park is the site of the renowned San Diego Zoo, as well as numerous art galleries, artist studios, museums and gardens. Explore the San Diego Air & Space Museum, which offers a dazzling collection of historic U.S. and foreign aircraft and aviation memorabilia. Travel north to La Jolla, the “jewel” of San Diego and stop at Mt. Soledad, where a 29-foot tall cross, built in 1954, serves as a memorial to Korean War casualties and veterans. In the historic Gaslamp Quarter, where modern architecture and Victorian-Age buildings stand side-by-side, you’ll discover eclectic galleries, chic boutiques, trendy nightclubs, rooftop bars, gastropubs, craft beer haunts and fine dining restaurants lining the streets.